Bedmi Puri is a very famous breakfast usually eaten in Delhi and some parts of Uttar Pradesh. It is paired with hot hing zeera aloo ki sabzi and is quite filling. Here is how to make Bedmi Puri in traditional UP style. 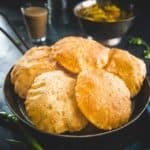 The traditional Puri is a standard breakfast dish in almost every Indian home. It is eaten with potato vegetable, but also tastes great with any vegetarian dish. 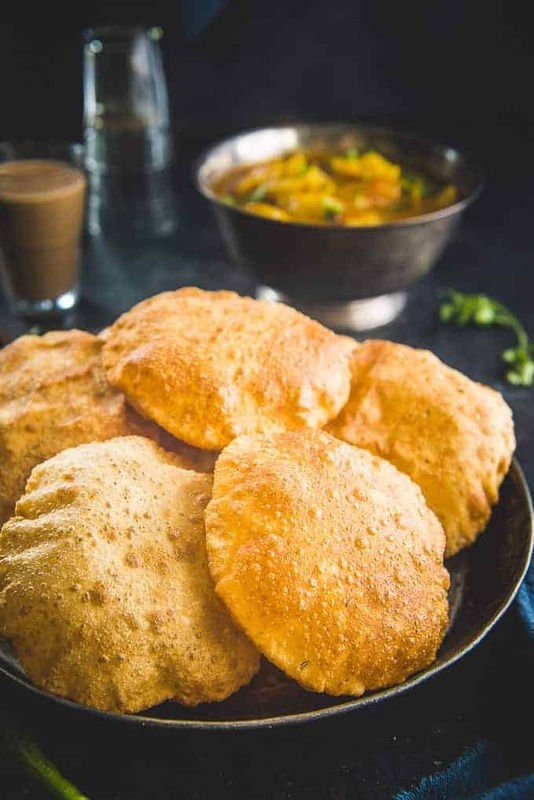 Bedmi poori is a very famous breakfast usually eaten in Delhi and some parts of Uttar Pradesh. The poori is stuffed with urad dal and other spices. Some people also use moong dal instead of urad dal to stuff the poori. 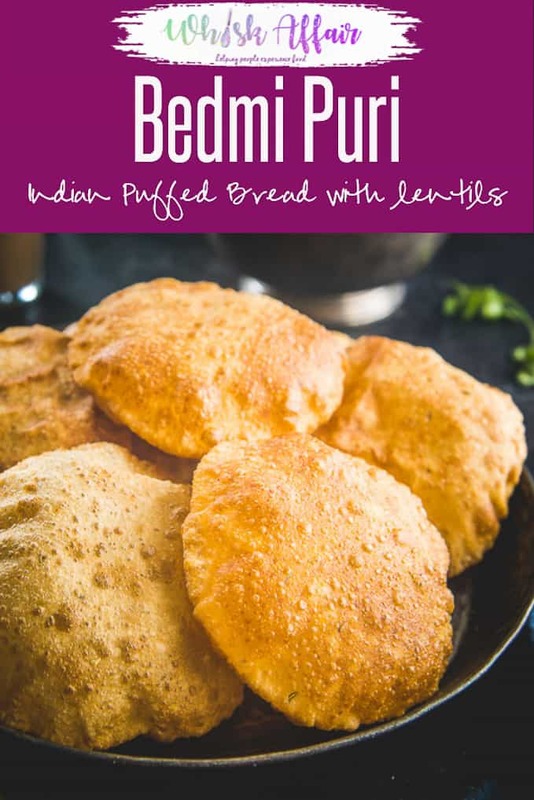 What to serve with Bedmi Poori? It is usually served with hot hing jeere ke aloo ki sabzi. Bedmi poori packs in enough proteins to get you through the day. This poori can even be savoured with Paneer Pasanda or Potato Cashew Nut Roast. I like to eat it with only pickle and a cup of tea. You can also serve it with any raita of your choice. 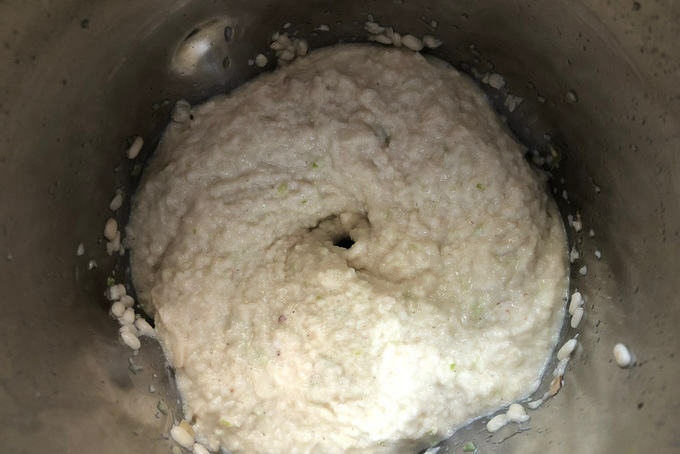 How to make Bedmi Poori? 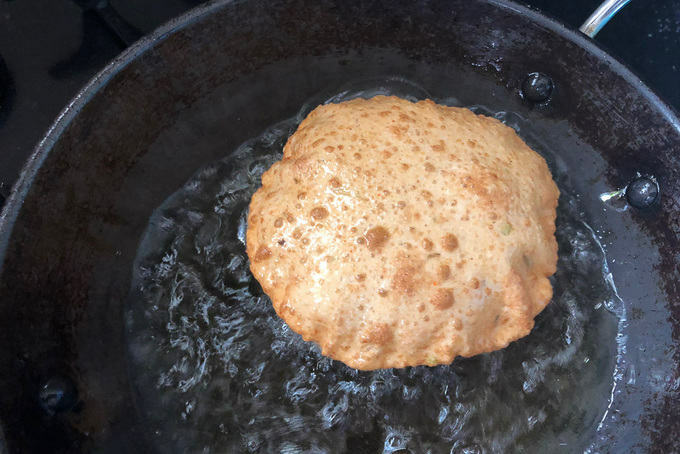 There are two ways to make this poori. 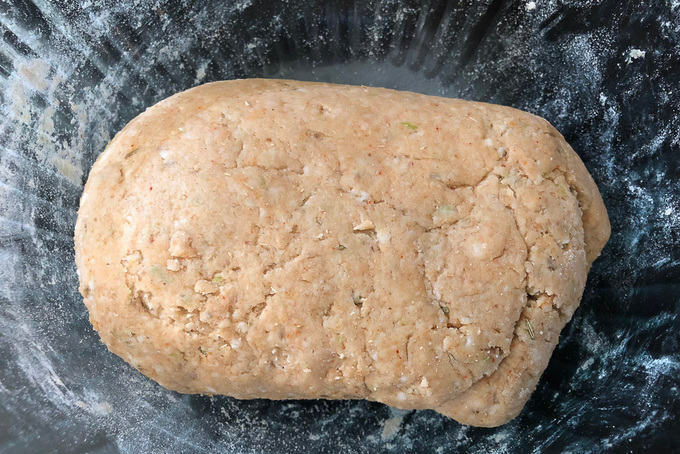 You can either knead the soaked and ground dal and masalas with the flour or you can make the stuffing and stuff it between the dough. Just to try a variation, I made bedmi poori by kneading the dal and masalas with the flour. The poories came out super crispy and yummy. 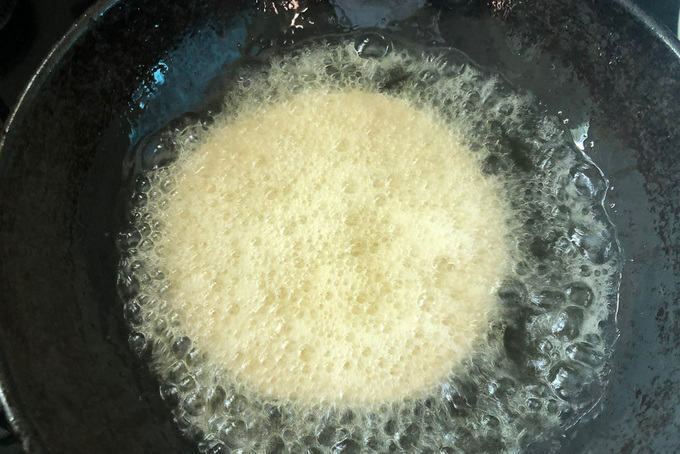 Double Frying Method – You can also make this Puri by frying them twice. The result is crunchier poories. Just roll the poories as mentioned in the recipe. Now heat the oil and fry the poories very quickly from both the sides until they are half cooked. Stack them on a plate. Now when you are ready to serve, heat the oil until it is very hot. Drop the poories in hot oil and fry until puffed and browned. Drain and serve. This method is great when you have guests at home. You can half fry the poories beforehand and then just quickly fry them when ready to serve. 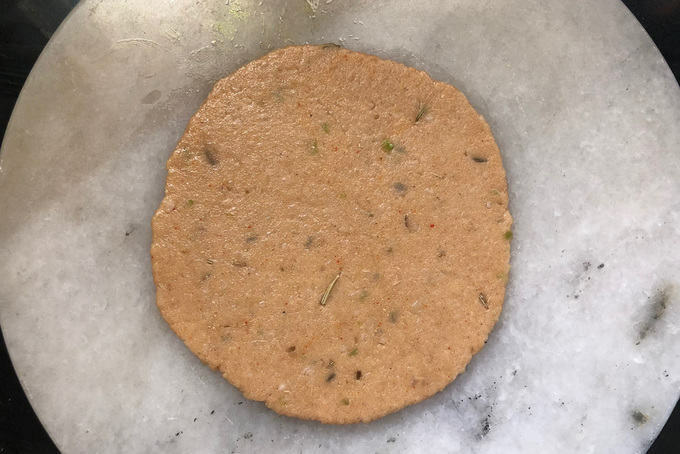 Talking about the nutrients, Bedmi Poori is mostly prepared by using Urad Dal. Urad Dal is an energy booster as its iron content is quite high.Moreover, it improves digestion. It is quite rich also in terms of protein. Urad even improves the health of our hearts. Ayurveda even suggests that Urad Dal is really beneficial for women during pregnancy. 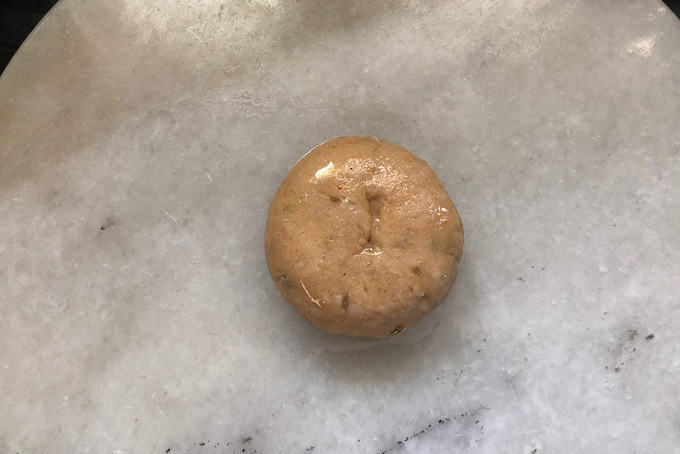 Ladies, Urad Dal has many beauty benefits as well, it has anti ageing properties, so relish recipes made from Urad Dal without feeling guilty, okay? 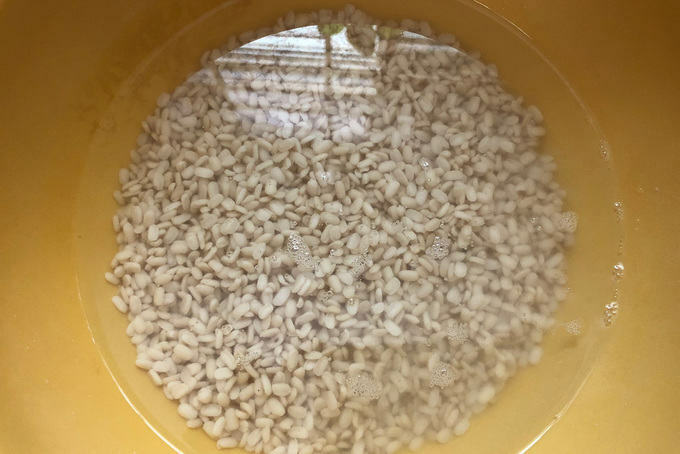 Wash and soak Urad dal in enough water for 6-8 hours. Drain the water completely. 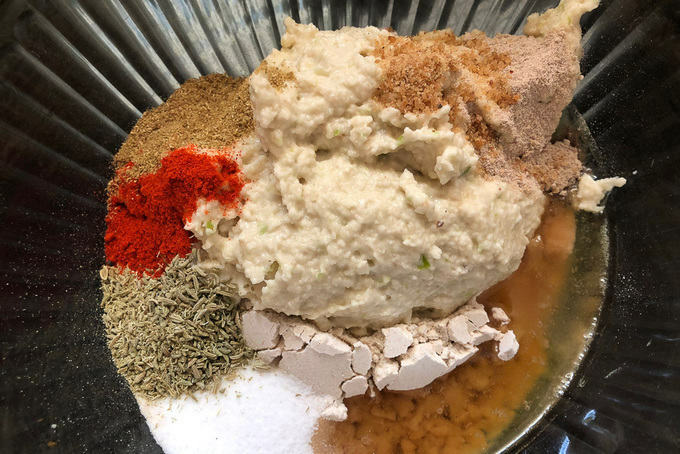 Grind the dal with ginger and green chilies in a blender to make a coarse paste. Add little water if required. 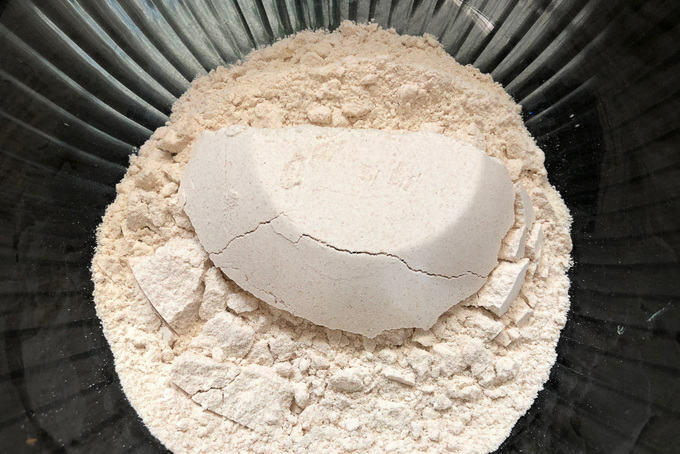 Add whole wheat flour in a bowl. Now add the dal paste, 1/4 cup oil, salt, fennel powder, coriander powder, red chilli powder, dry mango powder and hing in the flour. Mix everything nicely. Add little water and knead a tight dough. Cover and keep the dough aside for 10-15 minutes. Roll the balls using little oil to a 3-4 inch circle. Heat oil in a pan. When the oil is hot, deep fry the pooris till golden brown from both the sides. Remove the poories on a kitchen towel lined plate. 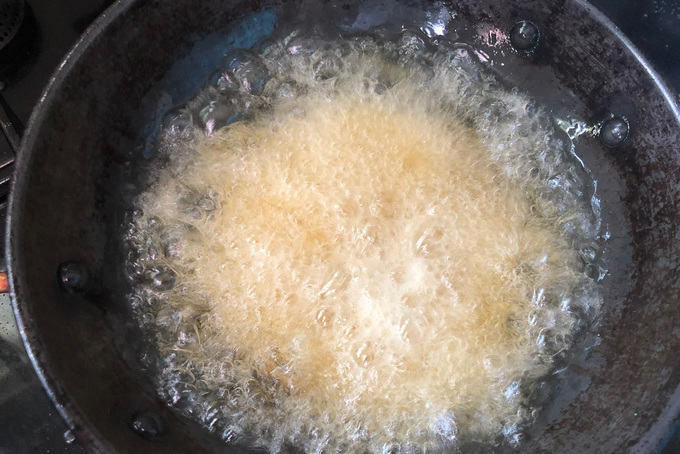 For double frying method, just fry the poories until half cooked. Stack them on a plate. Fry in hot oil until puffed and browned. Bedmi puri is a very famous breakfast usually eaten in Delhi and some parts of Uttar Pradesh. It is paired with hot heeng zeere ke aloo ki sabzi. 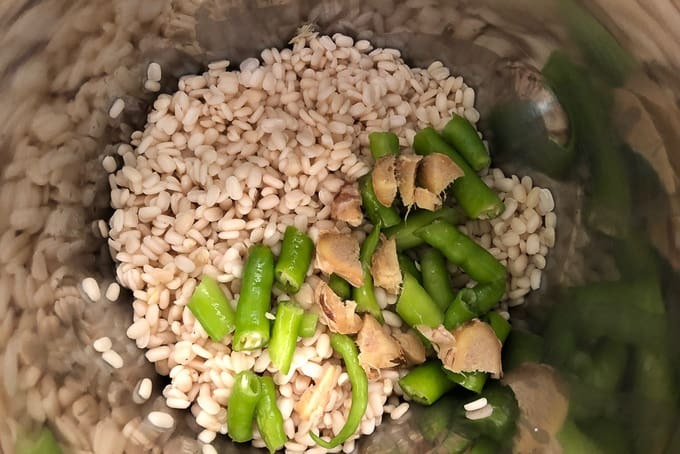 Grind the dal with ginger and green chilies in a blender to make a coarse paste. Now add the dal paste, 1/4 cup oil, salt, fennel powder, coriander powder, red chilli powder, dry mango powder and hing in the flour. Add little water and knead a tight dough. Cover and keep the dough aside for 10-15 minutes. When the oil is hot, deep fry the pooris till golden brown from both the sides. Serve hot with heeng zeere ke aloo. Omg wonder how you stacked those puffed up poories:) looks so very tempting and very appealing clicks !! 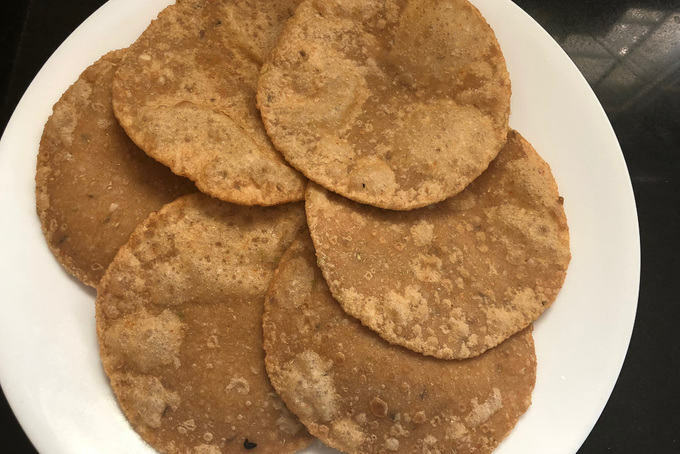 It sounds osome…will defintely try out this simple yet delicious puri….Can we use split udard dal instead Of skinned black lentil.